Simple user interface with multifunctional navigation bar to help you. DIY your templates in your own stale for the page turning book. Comprehensive design settings and Bookmark features support convenient use. The free digital page turning book maker has powerful conversion function for you to change txt file in to a digital page turning book. It's easily to use and master without taking too much time to learn professional knowledge. You can built fresh digital flipping book, interactive online magazines, real movie-like page turning book efficiently. 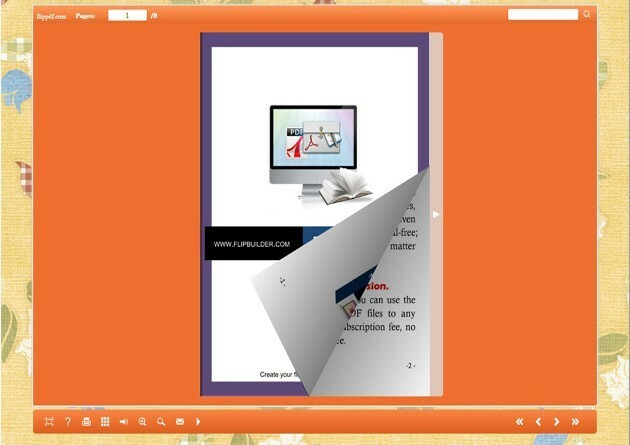 Free digital page turning book maker have basic function includes full screen view, help, print, thumbnails shot, sound setting, zoom in and out, share with others, auto flip and so on. What's more, it has further functions, such as converting your txt file into HTML format with the mobile version. You can get more detail about digital page turning book maker below. If you have further requirement or need other version of the conversion software, you can click here.